Spencer Allen is Chief Technology Officer at Aethon, Inc. where he directs development of the Tug autonomous mobile robot, delivering and tracking supplies and materials in hospitals. Since joining Aethon in 2004, Aethon's fleet has grown from 6 robots in a few facilities, to over 300 in 100+ hospitals across the country. Spencer received a BS in Electrical Engineering from Penn State University in 1982, and as Manager of Advanced Technology for International Cybernetics Corp. (later acquired by Modicon and Schneider Electric), he developed and holds patents on advanced technologies relating to digital sampled motion control systems for industrial applications including machine tools, flexible automation, and robotics. 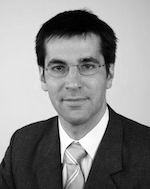 Rainer Bischoff is Project Manager Cooperative Research Projects at KUKA Roboter. He received his "Diplom-Ingenieur" degree in electrical engineering from Hannover University, Germany, in 1995. He has been active in measurement science, control engineering and robotics since 1993 and has worked at the LEEI in France, at EMCO Corporation, Texas, and at the City University of Hong Kong. Since 2002 Mr. Bischoff has been working for KUKA Roboter coordinating and managing the company's cooperative research projects on a European and national level. His research focuses on humanoid, personal and service robotics, in particular on system architecture and integration, sensor-based robot control, and multi-modal human-robot interaction. He has authored over 100 papers, receiving three best paper awards. 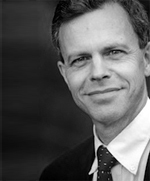 Casper Garos is Senior Director External Partnerships at Philips Healthcare. In this position, he is responsible for setting up and coordinating public-private partnerships in the Netherlands and Europe for the various business units of Philips Healthcare, with a focus on enabling new innovations, collaborations and networks. He studied at the University of Leiden, Netherlands and Dalhousie University, Canada, and holds an MA in law/international economics. After his studies, he joined Royal Philips Electronics working on trade policy matters and published a book entitled "Canada-U.S. Free Trade", published by the VU University Press. He then fulfilled global leadership functions in strategic product marketing at Philips' Components and Lighting divisions in both the Netherlands and the USA. Brian Gerkey is Director of Open Source Development at Willow Garage. Before joining Willow Garage, he was a Computer Scientist in the Artificial Intelligence Center at SRI, and before that, a postdoctoral research fellow in the Artificial Intelligence Lab at Stanford University. Dr. Gerkey received his Ph.D. in Computer Science from the University of Southern California (USC) in 2003, his M.S. in Computer Science from USC in 2000, and his B.S.E. in Computer Engineering, with a secondary major in Mathematics and a minor in Robotics & Automation, from Tulane University in 1998. He is founding and co-lead developer on the open source Player Project, which produces one of the most widely used software platforms for robotics research and education. He is a strong believer in, frequent contributor to, and constant beneficiary of open source software. Ryan Hickman is a Product Manager for Google Research. He is a champion of Cloud Robotics as a way to bridge the physical world with massively scaled network services and is the co-founder of Cellbots. At Google he seeks to find commercially viable solutions for robotic related technology and hosts the monthly Bay Area Home Brew Robotic Club on Google's Mountain View, CA campus. Paul James is the Director of Applications Software at Adept Technology, Inc. where he directs the development of Adept's suite of software products for deploying robots in industrial applications, including autonomous navigation software for Adept mobile robots. 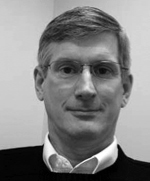 Paul joined Adept with the acquisition of Silma, Inc. in 1995 where he was director of software development for Silma's simulation and off-line programming suite of products. Paul earned his Bachelor of Science in Mechanical Engineering from Rice University, and earned his Master of Science and Ph.D. in Mechanical Engineering from Stanford University during which time he also served as Lecturer of the graduate mechatronics course Smart Product Design. James Kuffner is Associate Professor at Carnegie Mellon University and Engineering Manager at Google. He has extensive experience in both academic and industry research related to robotics and computer graphics. Volker Miegel is Global System Architect for Engineering tools at ABB Robotics. In his daily work, he deals with all aspects of ABB's robotic portfolio required to bring the vision of a Digital Factory to reality. Since 2002 he has been actively involved in the development of ABB's Virtual Robot Simulation System RobotStudio. Prior to ABB he has worked for major vendors of PLM/simulation software solutions, including McDonnell Douglas (UGS), Deneb and Tecnomatix. Miegel is a member of the AutomationML e.V. board, which develops and maintains the AutomationML format, an industry standard in engineering data exchange. Christopher Parlitz is Manager for Service Robotics at SCHUNK GmbH & Co. KG and has been involved in Service Robotics since 2002. He has developed safety concepts for industrial robot applications and was project manager for service robotics and the Care-O-bot experiment at Fraunhofer IPA prior to his engagement with SCHUNK. He is active in the international standardization organisation (ISO) for developing service robot safety. Dennis Schipper is the founder and CEO of Demcon. He holds a PhD in Mechatronics Design Methodology from the University of Twente, Enschede, The Netherlands and was a member of the well-known MART team, which faced the task of gaining experience in mechatronics design through the development and realization of a working prototype of a mobile robot system. He was responsible for the system design and the mechanical engineering of the MART prototype. Pete Wurman is the VP of Systems Engineering at Kiva Systems. Prior to joining Kiva, Pete was an associate professor of computer science at North Carolina State, where he served as co-director of the university's e-commerce program and a member of the faculty of its operations research program. An early researcher in Internet auction technology, Pete led the development of the Michigan Internet AuctionBot in 1995 and earned a prestigious National Science Foundation Career Award to study flexible trading agents. He has spent the past decade researching multi-agent resource planning, game theory, and computational mechanism design. Pete holds a Bachelor of Science in mechanical engineering from the Massachusetts Institute of Technology, and a Master of Science degree and a Doctorate in computer science from the University of Michigan.